Growing up with books written by Enid Blyton and reading about children growing up on farms or running away to mysterious islands to fend for themselves, hunting in the wild and building up tree tents left me with an urge to experience these adventures. Growing up in a metropolitan city on the other side of the world in Malaysia left me feeling a bit empty. With the hustle and bustle, pollution, people rushing everywhere, I’ve always yearned for the experience in the quieter sort of lifestyle. I also wanted (and still do much to The Boy’s amusement) lots of animals. Beginning with a dog, a parrot, a cat, a goat, a horse, a rabbit, etc. Basically, any animals featured in the Enid Blyton fantasy world, I wanted. 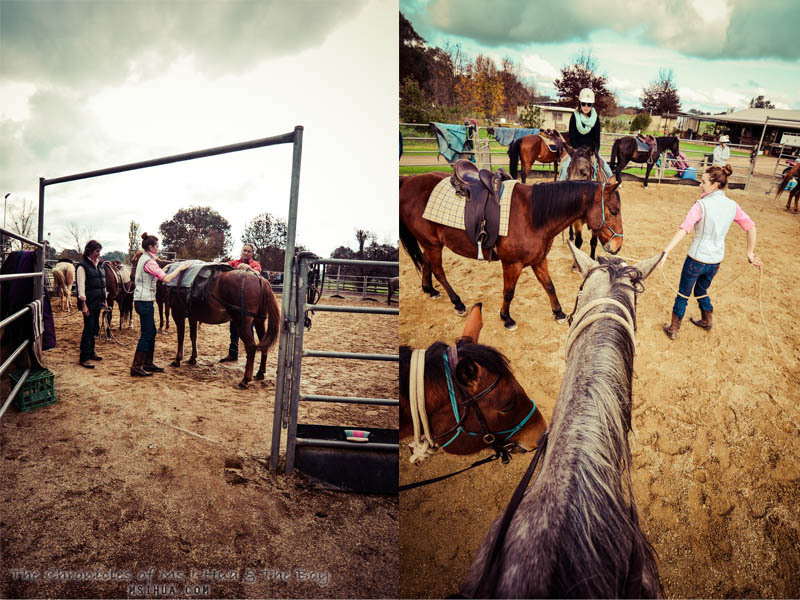 So it was to my very utmost delight (I squealed, oh how I squealed) when we were all invited for a weekend away in Wangaratta, north east of Victoria which included an afternoon riding with horses. HORSES! SQUEEEEEEEEAAAAAAAAAAA!! As part of the Forge’s Farm activities, they run a fun and educational Packing Prosecco ride and picnic all year round! 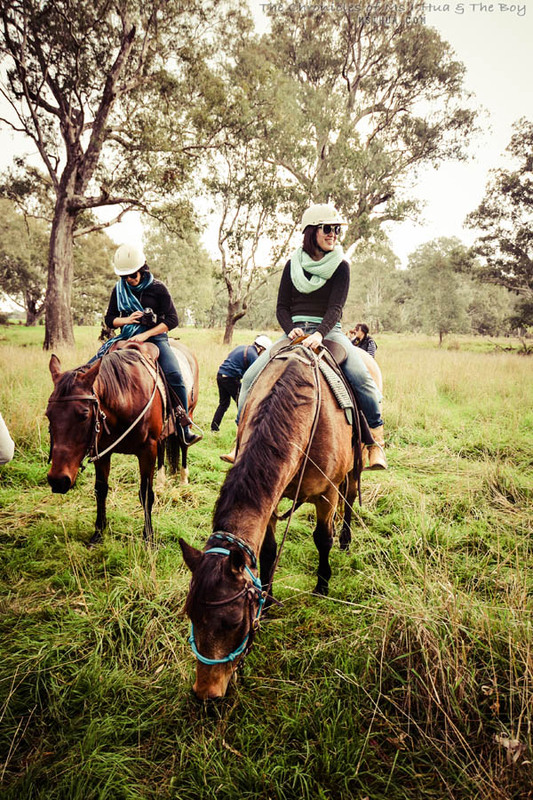 Basically, for a cool $60 per person, you will learn how to pack a horse with the region’s finest drop (Dal Zotto) before riding down to the shady banks of the King River where Milawa Cheese and Prosecco await. What could be better than that? It helps if you are mad about animals and horses! Did I mention that there are horses?! The Boy who’s afraid of water and big animals did really well here on this trip and managed to take all these photos sitting atop of Monty! However, keep your eyes peeled for Ms Maz’s photos as she took amaaaaaaaazing photos of the surroundings and the Forge Family sitting astride #likeaboss on her horse. 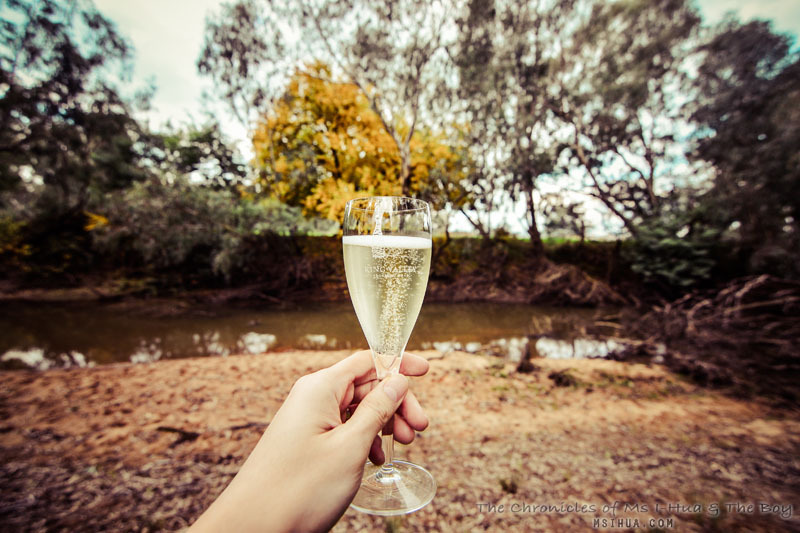 To follow our adventures and other pictures via instagram, simply follow the hashtag #visitwangaratta and #seehighcountry. That’s me! With Danny Boy! I think they gave me the most docile (and greedy) old horse on the farm as I looked really nervous when I saw how big the horses were. But now I’m in love and want to go horse ‘riding’ every weekend! The ride (more of a slow stroll) was easy enough and definitely doable as first timers like us were on it. The trail was beautiful and the country side inviting. 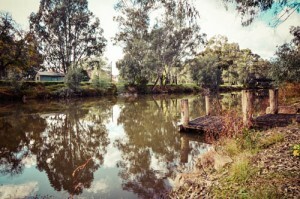 When we arrived at our destination by the river, we were delighted with the picnic area which was set up, complete with tulips, crates, benches and blankets. Now that’s what I call a picnic! I think it’s safe to say that it was one of the most fun weekends The Boy and I have ever had in a long time and we didn’t expect to, especially far north east in country Victoria. It was a pleasant experience, one which I cannot wait to get back to! Cheers! We would like to thank the very beautiful (and good looking) Forge’s Family for enduring with our giggles and laughter and showing us a side of their lovely life and country. Learning to pack a horse before riding! Wow, that’s some good skill to learn 🙂 That’s such a fun way to learn for both kids and adults. Thanks for sharing! Maaan… I really need a holiday soon! 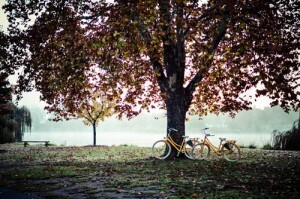 This looks like such a breezy and adventurous getaway.. lucky you and the boy! I want a horse now! Such beautiful horsies! 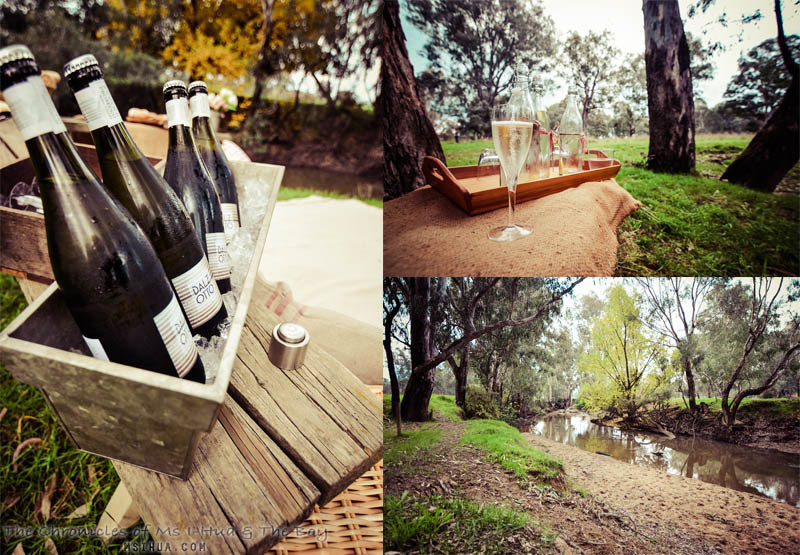 And what a lovely way to make your way to a picnic! They were so beautiful and the whole day was just perfect! Loved it and we can’t thank you enough for the experience!